Organized at Anderson and Indianapolis, Ind., November 2 to December 13, 1861. Left State for Bardstown, Ky., December 13, 1861; thence moved to Camp Wickliffe, Ky., and duty there until February, 1862. Attached to 19th Brigade, Army of the Ohio, to January, 1862. 19th Brigade, 4th Division, Army of the Ohio, to February, 1862. 1st Brigade, 2nd Division, Army of Mississippi, to April, 1862. 2nd Brigade, 3rd Division, Army of Mississippi, to July, 1863. Helena, Ark., District of Eastern Arkansas, Dept. of the Missouri, to December, 1862. 1st Brigade, 2nd Division, District of Eastern Arkansas, Dept. of the Tennessee, to January, 1863. 1st Brigade, 12th Division, 13th Army Corps, Army of the Tennessee, to February, 1863. 1st Brigade, 13th Division, 13th Army Corps, to March, 1863. 2nd Brigade, 12th Division, 13th Army Corps, to July, 1863. 2nd Brigade, 3rd Division, 13th Army Corps, Dept. of the Tennessee, to August, 1863, and Dept. of the Gulf to June, 1864. District of LaFourche, Dept. of the Gulf, to July, 1864. 2nd Brigade, 2nd Division, 19th Army Corps, Dept. of the Gulf, to December, 1864. 1st Brigade, Reserve Division, Military Division, West Mississippi, to February, 1865. 1st Brigade, 1st Division, Reserve Corps, Military Division, West Mississippi, February, 1865. 1st Brigade, 1st Division, 13th Army Corps (New), Military Division, West Mississippi, to May, 1865. Dept. of Louisiana to October, 1865. SERVICE.---Ordered to Commerce, Mo., February 14, 1862. New Madrid, Mo., February 24. Siege of New Madrid, Mo., March 5-14. Siege and capture of Island No. 10, Mississippi River, March 15-April 8. Expedition to Fort Pillow, Tenn., April 13-17. Duty at Tiptonville until May 19. Expedition down Mississippi River to Fort Pillow May 19-23. Moved to Memphis, Tenn., June, and duty there until July 24. Moved to Helena, Ark., July 24 and duty there until February, 1863. Brown's Plantation, Miss., August 11, 1862. Expedition to Arkansas Post November 16-21. Expedition to Yazoo Pass by Moon Lake, Yazoo Pass and Coldwater and Tallahatchie Rivers February 24-April 8. Fort Pemberton March 11. Operations against Fort Pemberton and Greenwood March 13-April 5. Moved to Milliken's Bend, La., April 12. Movement on Bruinsburg and turning Grand Gulf April 25-30. Battle of Port Gibson, Miss., May 1. 14-Mile Creek May 12-13. Battle of Champion's Hill May 16. Siege of Vicksburg, Miss., May 18-July 4. Assault on Vicksburg May 19 and 22. Advance on Jackson, Miss., July 4-10. Siege of Jackson July 10-17. Ordered to New Orleans, La., August 10. At Carrollton, Brashear City and Berwick until October. Western Louisiana "Teche" Campaign October 3-November 30. Duty at New Iberia until December 17. Moved to New Orleans, La., December 17, thence to Madisonville January 7, 1864, and duty there until March. Red River Campaign March 10-May 22. Advance from Franklin to Alexandria March 14-26. Battle of Sabine Cross Roads April 8. Monett's Ferry, Cane River Crossings, April 23. Alexandria April 30-May 10. Muddy Bayou May 2-6. Graham's Plantation May 5. Retreat to Morganza May 13-20. Mansura May 16. Expedition to the Atchafalaya May 30-June 6. Duty at Morganza until September. Expedition to Clinton August 23-29. At St. Charles, Ark., September 3-October 23. Expedition to Duvall's Bluff October 23-November 12. Moved to Little Rock, Ark. ; thence to Memphis, Tenn., November 25, and duty there until January, 1865. Expedition to Moscow December 21-31, 1864. Ordered to New Orleans, La., January 1, 1865. Campaign against Mobile and its Defenses March 17-April 12. Near Spanish Fort March 26. Siege of Spanish Fort and Fort Blakely March 26-April 8. 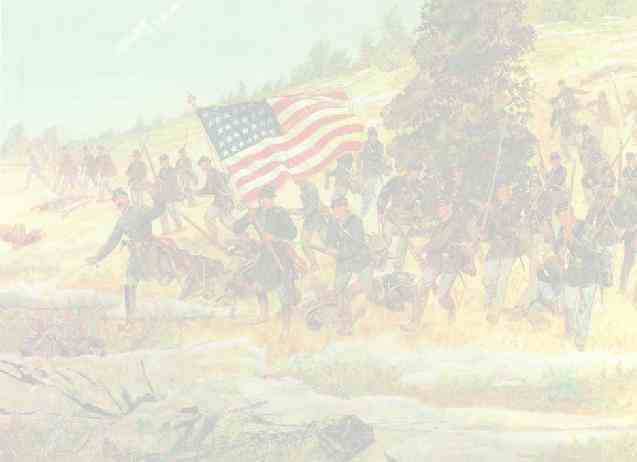 Assault on and capture of Fort Blakely April 9. Occupation of Mobile April 12 to May 26. Moved to New Orleans, La., May 26; thence to Shreveport, La., and duty there until October. Mustered out October 23, 1865, and discharged at Indianapolis, Ind., November 2, 1865.